Two of Northeast Ohio’s most respected choral organizations are blending their 140 voices into an afternoon of choral music and a combined performance of “A Jubilant Song.” The choruses will be accompanied by pianist Mio Arai. The concert will take place at 3.30 p.m. on Sunday, October 16, 2016, in Waetjen Auditorium, located in the Cleveland State University Music Building at 2001 Euclid Avenue, Cleveland, Ohio 44115. Norman Dello Joio’s exuberant “A Jubilant Song” was set to the text of “A Song of Joys” by that equally exuberant poet Walt Whitman. Originally scored for women’s voices and piano, it was composed by Dello Joio in 1945, and its celebratory mood certainly reflects America’s exultation at the end of World War II. Its first performance was at Sarah Lawrence College, a female-only undergraduate institution that became co-educational in 1968. Cleveland Pops Orchestra Chorus, which made its acclaimed debut in Severance Hall on November 2, 2012, is directed by William G. Zurkey. The West Shore Chorale, founded in 1968, is directed by John Drotleff. 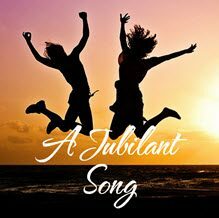 Admission to the performance of “A Jubilant Song” is $15, payable at the door to Waetjen Auditorium. Free admission for students with student ID. Parking is free. For further information about the concert, please call the Cleveland Pops Orchestra 216-765-7677.